His porta crayon looks like it has to different colors of chalk in it. Ours is just has regular pencil lead in it. Excellent, good detail. Thank you. 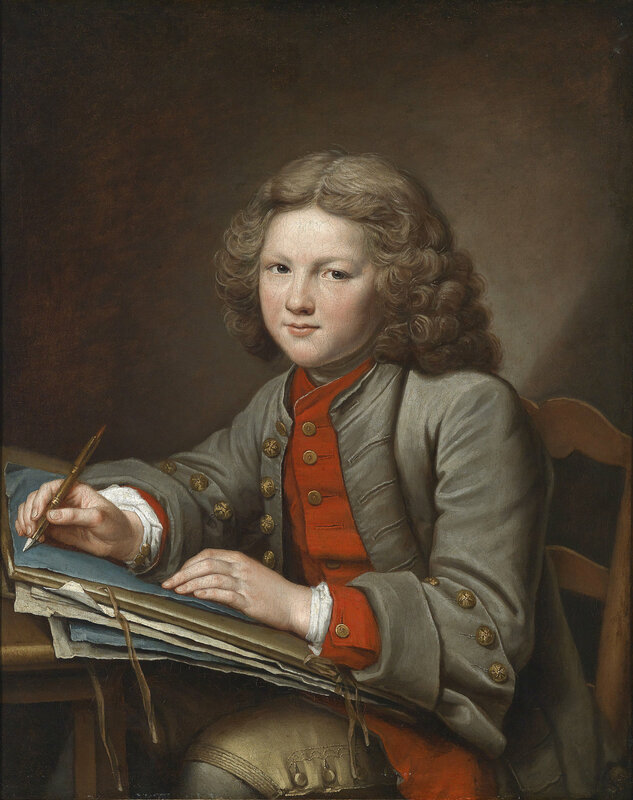 Usually such holders held chalk on one side and sanguine (as in this painting) or charcoal in the other. Graphite was rare, especially on the continent, as solid graphite was only found in England, and was used for military purposes. What museum is this painting at? Is it in a private collection? What year?